Quiz and fill-in fun for you and your besties. Top secret? Or too adorable not to share? This padded journal has a lock and key to keep it secret. There’s only one problem – it’s so gorgeous you’ll want to show it to everyone. On the outside: the cutest baby owl you’ve ever seen. 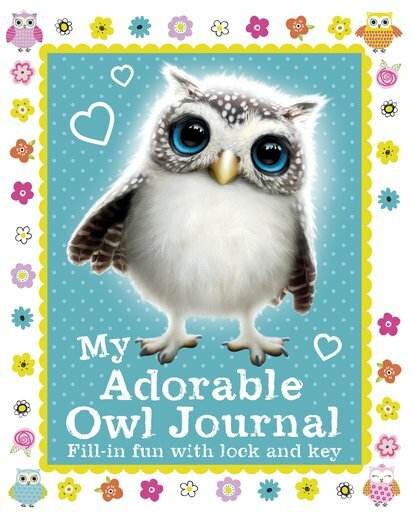 On the inside: quizzes, facts, tips, doodles, activities and fill-in space to record your life. (Plus lots of pretty owls, of course.) Fancy doing a personality quiz? Making lists of your favourite things? Adopting a baby owl? This is where to come.